Auto Fresh Car Wash is an eco- friendly, hassle- free, home or office car wash service. Auto Fresh Car Wash was born out of our desire to provide convenience while making a positive impact to our environment. We aim to find ways to preserve the use of a scarce, yet very important resource that is being depleted at a very fast rate- clean, fresh water. Just because you are taking the environmentally friendly alternative, doesn’t mean quality would be sacrificed. 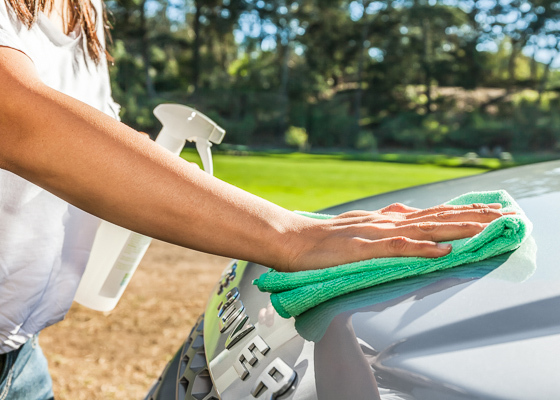 Cars are hand washed using plant- based products extensively formulated in the last 10 years – leaving your car with a protective layer and a scratch-free finish. Since we don’t rinse, there are no water spots. No wet floors. And no toxic runoffs that drain to our bodies of water. Join us in contributing to water sustainability and keeping our rivers and oceans safe! Our innovative, 100% biodegradable solutions are trusted and used by upscale car manufacturers and the largest tech companies in the world.